If you have any questions or want to enquire about dates, use our form to contact Nicola & John Karpa (The Managers) or see their website for more information. Lost in the countryside is this 1700s mill, and the enchanting Gartempe meanders by. Lawns slope down to the river where rare birds bob and butterflies flit and all you hear is water and birdsong; it is the dreamiest setting. Close to the mill is the 1650s mill house where owners Geraldine and Paul live, and a beautifully renovated cottage for you, serene and charming. Enter an old-tiled hall with the salon/kitchen off it, a bathroom alongside, a bedroom up the steps. The kitchen is painted cream and duck egg blue, the furniture is elegant in grey and dusty pink, the soaps are handmade, the wet room is fabulous, and the loo is painted à la Toulouse-Lautrec – amazing! You will be greeted and looked after by Nicola and John. There are logs for the wood-burner, books, games and DVDs for wet days, a private pretty terrace for sunny ones. Nod off under the roses; canoe upriver to Jouhet for lunch. Chauvigny is historic and beautiful, Mortmorillon has books galore, and St Savin is three miles away, with a market and a World Heritage abbey. November - May (except by arrangement). Moulin de Roche is a truly relaxing place to stay. Sitting by the river in the sunshine, with a book is nothing short of wonderful. The gite offers everything a couple needs and the artistic decor is inspirational. The resident owners are generous and laid back which was an unexpected pleasure. We hope to return. We spent 9 glorious and relaxed days at Le Moulin. We were able to extend our stay by 2 days and we grabbed the opportunity. Such an enchanting place in a delightful setting. We were made extremely welcome in every way - no need to shop that first day! The beautifully restored building was filled with flowers and the decor and art were stunning. In the cooler weather we visited the local sites and returned to a comforting log fire. In the heat of the day we lazed in the garden listening to the river. The roses were at their spectacular best. All quite magical. We thoroughly enjoyed a relaxing week at Moulin de Roche. The Gite had everything we needed and sits in a lovely location. Our charming hosts Gerry and Paul helped to make our stay more enjoyable. I am sure that we will return. This is an enchanting place to stay, so tranquil and relaxing. The cottage has been imaginatively converted and decorated, and provided a very comfortable base for exploring some of the nearby towns and villages, but there is plenty to see right on the doorstep - within minutes of arriving we watched a red squirrel digging up acorns a few feet outside our window, and herons, kingfishers and other birds frequent the river and garden. Paul and Gerry are helpful and friendly hosts with a wealth of local knowledge. We would love to return! Peaceful, rural, fascinating riverside cottage where it was easy to let the days slide by in contented contemplation. Thoughtfully planned interior which quickly felt like home. Generous and considerate welcome basket with everything we might need. Lovely gardens and wonderful wildlife, first time I've seen so many kingfishers close up. Good to have the owners close by as they shared so much local information which we would never have discovered without their help. We loved our stay here, just everything had a laid back, restful charm. One of the best holidays we've had! 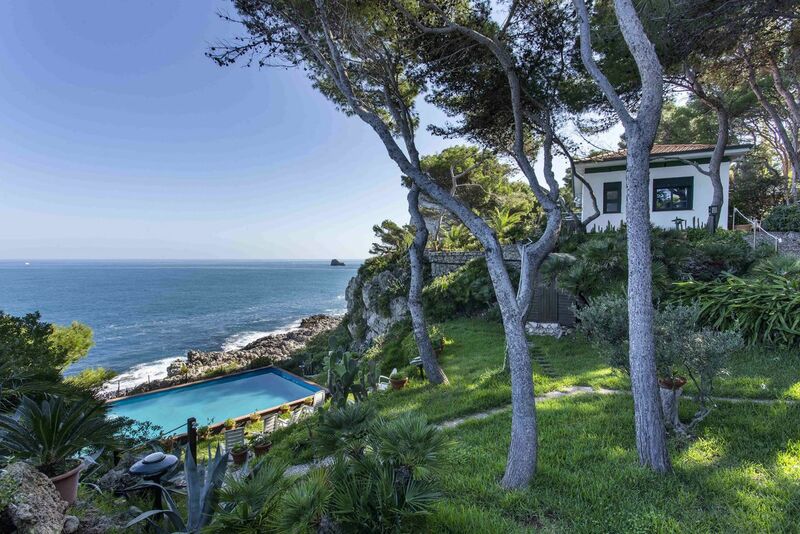 If you are looking for beautiful views, peace and tranquillity combined with attentive hosts then this is the place for you. The gite overlooks the river and we spent many hours watching the resident heron and kingfisher. Gerry and Paul have decorated their gite to a very high standard and for two people it is perfect. Gerry and Paul got the blend exactly right of being friendly and helpful whilst recognising that we were on our holidays and wanted some quiet time. Their local knowledge of the area was really helpful. A magical week we won't forget! Spent a really lovely week here with our gracious and hospitable artist hosts Geraldine and Paul immersing ourselves in their lovely blessed-by-nature corner of Poitou-Charente. The Beautiful River Gartempe dominates as it rushes over the nearby weir and Kingfishers, Herons, Ducks and fish abound in the pools and eddies. This is a truly relaxing, unspoilt place and the gite has been imaginatively converted, decorated and equipped with all mod-cons. The area has some lovely historic medieval towns with castles, churches and museums to take in and an excellent restaurant in the nearby village. We had a wonderful 10 days here, it's a beautiful cottage in gorgeous countryside, with all mod cons. We swam in the river and paddled up the river for a picnic and glass of wine! Thanks to Gerry and Paul who were so kind and considerate. Stunning local villages to visit, lots of history. We will be returning as soon as we can. We had a wonderful few days at the Moulin de Roche and we wish we could have stayed longer. The cottage is beautifully restored and furnished. The setting is absolutely gorgeous and the owners Gerry and Paul were very friendly and thoughtful. We visited the local towns and did some lovely walks along the river. We will definitely go back. To continue your decadant experience we supply 400T Egyptian cotton linen, to cover a Siberian goose down duvet, for the ultimate in 5* luxury..Our Egyptian cotton bath sheets and luxury artisan toiletries await you in the fabulous wetroom. Secluded rose garden, hidden within the extensive grounds of this fabulous Mill house property, alongside the Gartempe river. Guests can stroll along the lavender walk and marvel at the abundant array of butterfles and dragonflies. At the end of the Granary is located the original open air dance floor, created during the 1920s, back when the miller hosted extravagant jazz soirees. An elevated cave above the dance floor housed the live jazz bands. The Gartempe offers prolific fishing, fly and course - permits are available locally. 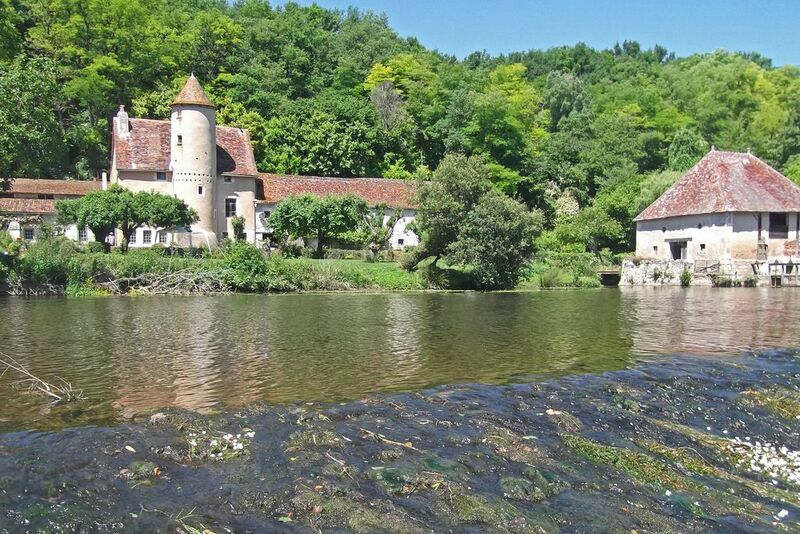 The gite offers 1.5km of private river bank. Salmon, trout, carp, pike, bream and zander are a few of the spiecies which abound the river. Guests of the Moulin are invited to use the large indian canoe and explore up stream, perhaps mooring at Jouhet for a light lunch or a cold beer.